Hey everyone! As some of you know, I'm a big fan of Ingrid Jonach and her book When the World was Flat (and we were in love). I have written a review about it, posted the original book trailer of it, and even wrote a Forgotten Friday post of it. Well now, Ingrid has revamped her book it and has re-released as a self-published copy. In addition to her re-releasing, she has a new book coming out this spring called In the Beginning There was Us, so after some thought I asked Jonach if she'd be willing to do a Q&A and to share her updated book trailer with me and she said yes! 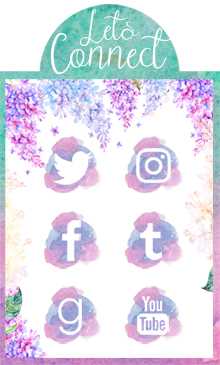 I have it all here for you guys; if you guys haven't checked out her book yet then this post will hopefully convince you. Ingrid Jonach writes books for kids and teens. 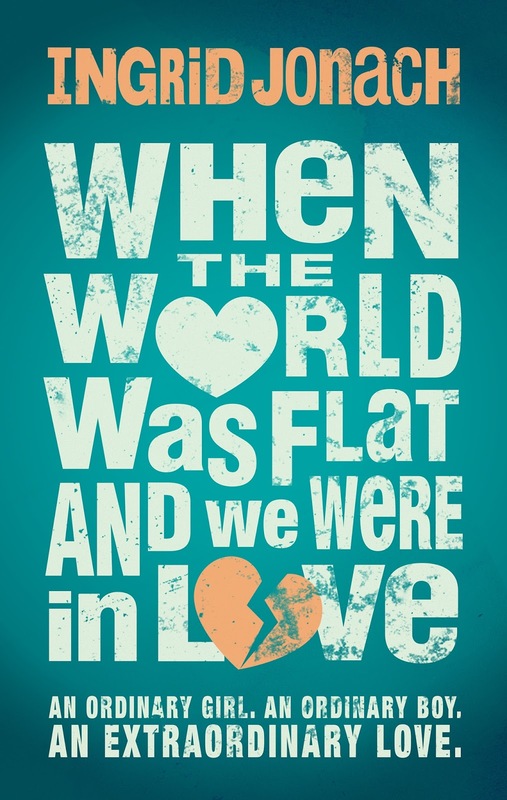 Her debut young adult novel When the World was Flat (and we were in love) is available now. Her second young adult novel In the Beginning There was Us will be released in April 2015. Q: Why did you decide to revoke your rights from Angry Robot? IJ: It was a really difficult decision, as I really enjoyed the experience of working with Angry Robot and their young adult imprint Strange Chemistry. I requested a rights reversion due to a combination of factors, including the closure of Strange Chemistry and the sale of Angry Robot last year. Even though When the World was Flat (and we were in love) was still going to be in print, the focus of the publisher no longer included young adult so I decided to take its publication into my own hands. Q: What's different about this new release of WTWWF? IJ: I thought that while I was breaking the rules in terms of walking away from an international publishing deal, I may as well break a few more by amending an already published book. I reinstated the prologue and epilogue that were removed during the last editing process. I also changed the tense of the story from past to present, which lines up with my future books. I really like the effect that particular edit has had on the pace. And the cover has completely changed too. I really, really, really love the new cover. Q: Where did you get the inspiration for WTWWF? What made you want to write about parallel universes? IJ: It was actually inspired by Jane Austen's Pride and Prejudice. I just adore the dynamic between Mr Darcy and Elizabeth Bennett, which is created by a mixture of misunderstandings and pigheadedness. I originally intended on writing a modern day version of the classic, but after the first draft I started wondering what would happen if I added a science fiction element. I've always been fascinated by theories of parallel dimensions and the questions they raise around destiny and other lives. It was surprisingly easy to weave these theories through the existing story. Q: Did it take a lot of research to intertwine the scientific theories into your plot or did you already have prior knowledge of it all? IJ: So much research! My existing knowledge was pretty rudimentary. I ended up reading a number of biographies on Albert Einstein and watching a lot of documentaries on physics, particularly those by Michio Kaku (who basically puts everything into layman terms for people like me!). Q: Are any of your characters based on real people that you know or are they all from your imagination? IJ: The characters in When the World was Flat (and we were in love) are predominately from my imagination, but some of their personalities are borrowed from myself or my friends. The kink in the back of Jo's hair was inspired by one of my friends whose hair can be straightened everywhere, except at the back. And Lillie's internal dialogue (where she constantly berates herself) is, sadly, inspired by myself. Q: Did Tom ever have feelings for Melissa? Even though Tom gave off the impression he was bored with Melissa, they were often together. Why? IJ: Tom never really likes Melissa or her friends, but puts up with them for two reasons - at first to keep an eye on Lillie, and then to blend in and potentially lead a normal life. While not completely out of the question, I think it would be a far off universe where Tom would ever have feelings for Melissa. Q: At one point, Tom tells Lillie that she has a history with Jackson in a different dimension, could you tell us about that history? IJ: Lillie feels an undeniable pull to Jackson, which is why she's able to forgive him so easily after he comes close to accidentally killing her in a car accident. I can confirm that there is a reality where the two of them are dating, but I see any relationship between them as being more of a friendship turned romance, as opposed to her relationship with Tom, where there's a lot more chemistry. Q: Bullying is a huge element in WTWWF. A majority of the characters have undergone some form of bullying, which is great because it's realistic and something I think most people can relate to. In fact there is a great scene between the characters Lillie and Melissa where Lillie says, "Let me keep that in mind the next time I go to this his house." It's a subtle victory but a great one. Was that an important scene for you? Why was bullying an important element for you? IJ: The dynamic between Melissa and Lillie was very personal to me. I was bullied really badly for a period in primary school and then again at the beginning of high school, to the point where I remember crying before going to school. I really enjoyed Lillie turning the tables on Melissa. I sadly think that bullying is a reality for young adults and, as a coming of age story, it plays a large part in When the World was Flat (and we were in love). All of the main characters - Lillie, Sylv, Jo and Jackson - face bullying simply for being who they are, and each responds differently. Lillie ultimately rises above it. Sylv lets it roll off her like water off a duck's back. Jo internalizes it. And it makes Jackson give in to peer pressure. I guess it was all a bit therapeutic for me as a writer! IJ: Always! At least, I've always loved telling stories. I didn't really understand what a writer was until I was in my teens and had no idea you could actually be one until I was graduating from high school and deciding what to study at university (I ended up doing a Bachelor of Arts in Professional Writing). Q: What's your writing process like? Do you have a specific place you go to write? Do you listen to music while writing? Do you have a strict schedule of when you need to get things done or are you more of a laid back writer? IJ: I write whenever and wherever, mainly due to necessity. I have a day job, which is quite demanding and am constantly trying out new schedules for fitting in writing - early mornings (but I'm not an early riser), night time (but I like TV too much and end up tired the next day), weekends (but they tend to fill up with a combination of family, friends and other life stuff). I find long car trips actually the most productive place to write (as long as I'm not driving, of course!) and I need to minimise distractions, so no internet or music (unless it’s for inspiration). Q: You're releasing a new book called In the Beginning There was Us. What's it about? Is it a sequel to WTWWF? IJ: It's about a girl (Abbey) who brings a boy (Cole) back from the dead and all of the consequences that follow. It's also science fiction, as the appearance of Cole is linked to an accident at a particle accelerator that has been experimenting with the infamous God Particle. It's not a sequel to When the World was Flat (and we were in love), but it's not completely unrelated either. It's part of what I'm dubbing the Other World Series. People who haven't read When the World was Flat (and we were in love) will probably assume In the Beginning There Was Us is set in the future, but it's actually a re-imagined history of our world. A couple of characters pop up briefly too - like Lorraine and Sylv. You guys can buy Ingrid's When the World was Flat (and we were in love) as an ebook from Amazon here. Also, I have updated my original review of the book to match with the current edition and you guys can check that out here. Although the tense has changed everything that I love about the book is still there. I love the Q&A!! The book really sounds great (: Can't wait to read it! I loved it too, it was fun! I hope you do read it and enjoy it. Awesome insights! Will definitely add this book to this year's reading list, it sounds right up my alley. It's still great, of course.